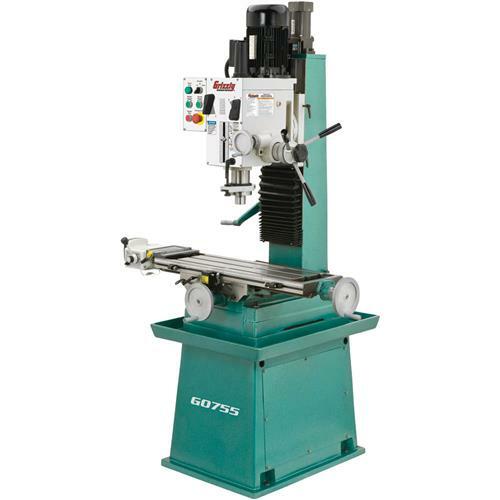 This G0755 Heavy-Duty Gear-head Mill/Drill takes our G0754 Mill/Drill to the next level by including a stand and motorizing the headstock elevation travel on a dovetail-way column, which improves movement accuracy and increases rigidity. 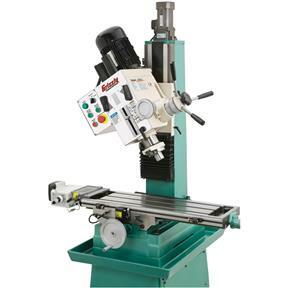 Like the G0754, this model features high-precision P5 spindle bearings, convenient gear-head spindle speed controls, dovetail ways, reversible spindle, and longitudinal variable speed power feed. Made in an ISO 9001 factory! Table size: 9-1/2" x 31-1/2"
Approximate shipping weight: 1102 lbs. I bought a G0755 about 6 weeks ago with home delivery. Before my purchase, I contacted Grizzly customer service to ask some shipping questions and they were very polite and helpful. The ordering process was easy and I was updated throughout the entire shipping process. 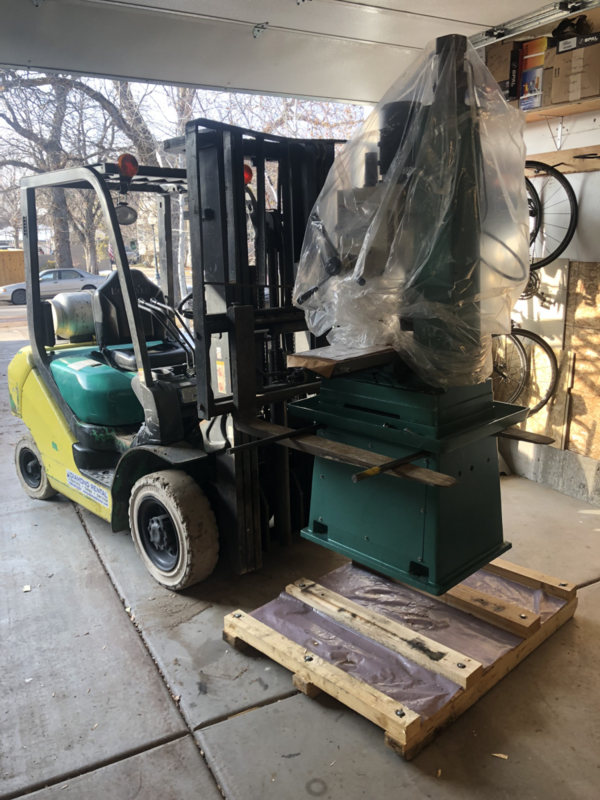 UPS ground delivered the machine to my house, but no lift gate service was available due to the 1100lb shipping weight, so plan on having a forklift ready. The good: setup was fairly easy as the machine is pre-assembled, full of oil, and nearly ready to run. Excellent packaging in a quality crate and palate. The powerfeed works well and is pre-wired. Table appears to be good quality. The bad: the power cord doesn't include a 220v plug and the wiring diagram included with the instructions is incorrect for a 4-wire 220v power supply. The instructions illustrate connecting white, black, and green wires (neutral, hot, and ground) to the plug. This is incorrect! The diagram should demonstrate RED, black, and green as you'll need 2 hot wires and a ground, the neutral is not used. 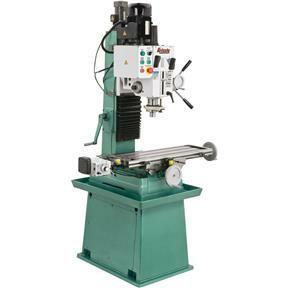 The base doesn't include leveling feet, and nowhere in the instruction manual does it specify the bolt diameter and thread pitch used for the bolt holes in the base. I believe they're 3/8", but not entirely sure. 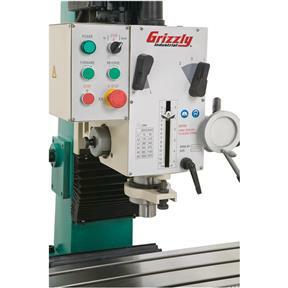 You'll need two 3/4" - 1" x 42" steel round bars to insert through the base for positioning. 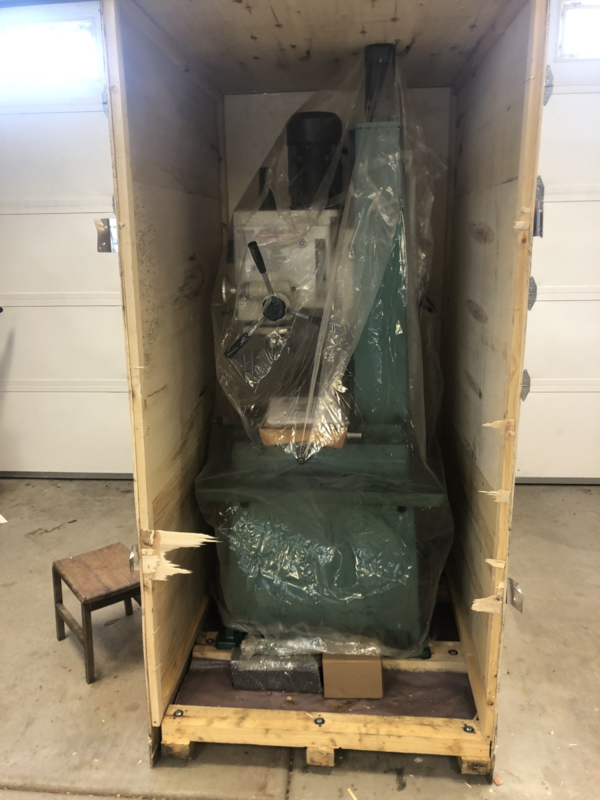 The machine was crated properly, but a couple loose items that come separately with the machine were dinged up in shipment. Customer service was great. The crate was 3/4" taller than I told, which a surprise since I ended up with less than 1/8" clearance to get it in my shop. 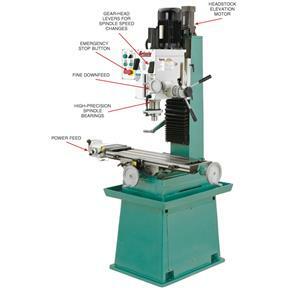 The machine comes 99% pre-assembled. The biggest issue I had was that I had to adjust the nod, which was kind of a pain. It was off by .009"TIR. I had to support the head, loosen the mast, shim the mast at the base, re-tighten the mounting base bolts, and re-check the the nod. I had go through this process three times before I got it within .001". Overall, a nice machine for the price. 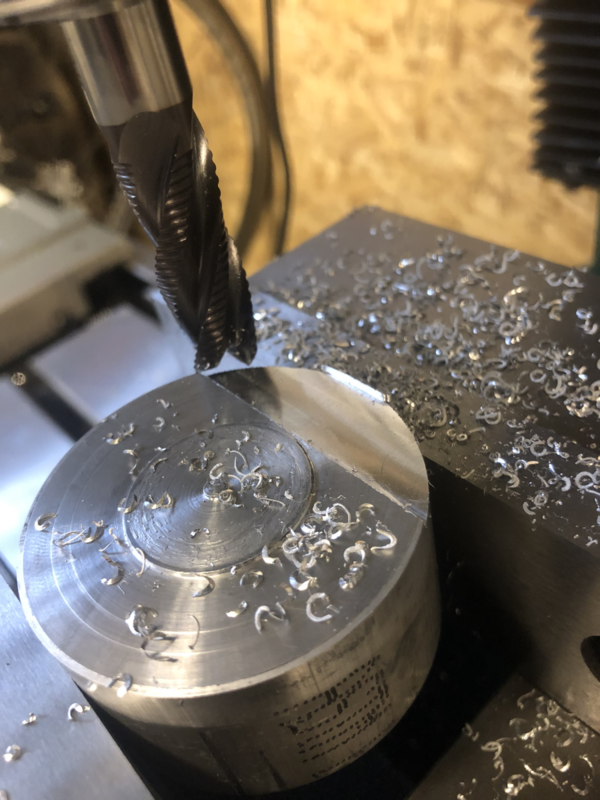 I bought this a month ago as an upgrade to my old drillpress , I am very happy with the quality and accuracy right out of the box. 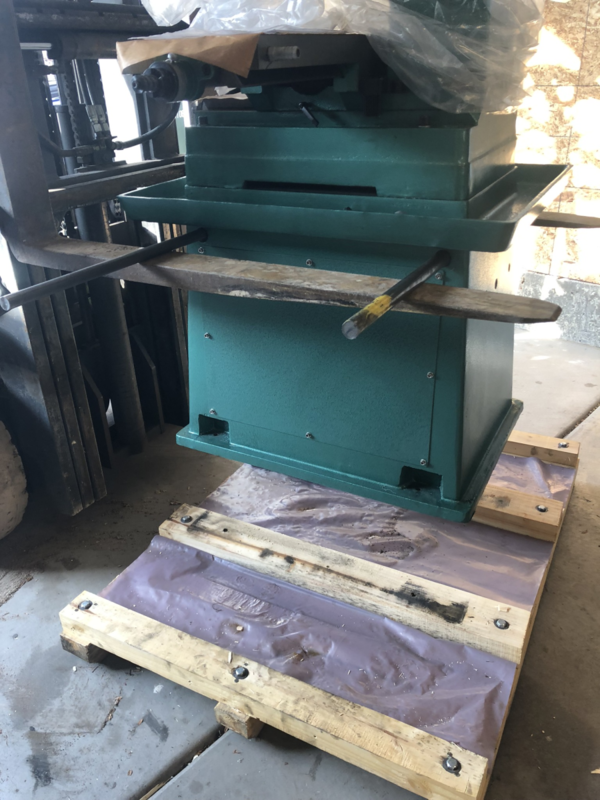 All the features on this mill fit the bill for my projects. Very capable mill, rugged and very user friendly. Set up was a breeze.